Learning your first song in a language other than your native tongue can be a daunting task. But, fear not! 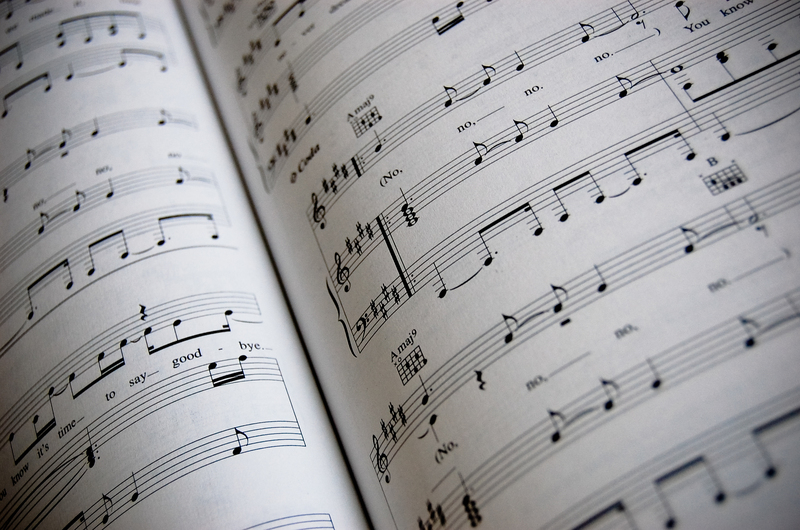 Here are some simple ideas to help you get started singing in foreign languages. When you’re working on a song in a foreign language, it is a really good idea to listen to it being sung. If you can find a native speaker singing it, so much the better. YouTube and Spotify are both great sources for finding a range of recordings. As you listen, make sure you have the words in front of you so you can follow them. Read and listen to the song a few times, and on the last time through, grab a pencil and make a note of any pronunciations that jump out at you as particularly noticeable. For example, in German, a “w” is pronounced as a “v”. Pronunciation is a tricky beast. 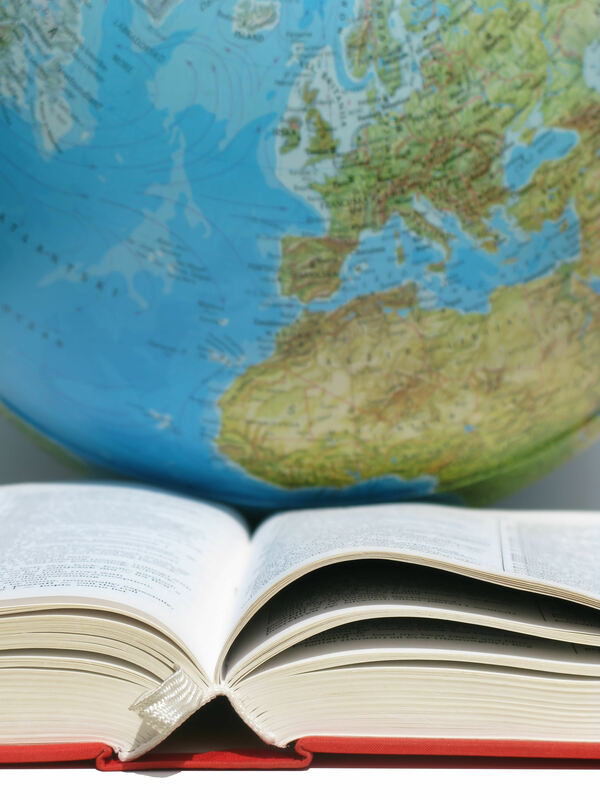 It can be very difficult to find a clear guide to how to pronounce any foreign language without learning how to use the International Phonetic Alphabet. However, you can use different tools to help you. Try using an online text-to-speech generator to get a general sense of the words. Enter the song line by line to hear it read out. It’s imperfect, but should give you a good sense of the basic sound and shape. I have also found that language learning software can be a great support for good pronunciation. If you have a smartphone or tablet, I cannot recommend Duolingo highly enough. This fabulous app has listening, speaking, reading and writing activities which help you learn all the key singing languages. This will also help you to begin to understand the structure and nature of the language you are singing in which will mean you will be able to communicate the meaning more clearly. If you are keen to learn more about Pronunciation, A Handbook of Diction for Singers by David Adams is a comprehensive resource for Italian, French and German. This book uses IPA to explain the rules of pronunciation in all three languages. The best tip I was ever given by a singing teacher for learning a song in a foreign language was “sing it like you’re in ‘Allo ‘Allo”. For those of you not familiar with this reference, ‘Allo ‘Allo is an old British comedy show set in Nazi-occupied France. It was known for the particularly theatrical accents which often bordered on mockery. Of course, my teacher was not advising me to mock the language I was singing in. Instead, by aiming for the over-the-top accent when singing, I would end up hitting a quite convincing sound. Thus, if you’re struggling, try to over-exaggerate the linguistic features. Make the German extra guttural and harsh, make the French really pouty, or the Italian very rounded. Once you have a grasp on how to make the sounds, it is also important to begin to understand the song in translation. There are some excellent sites around which have translations of art song texts such as Rec Music. Choose one or two you like, and read them over a few times to begin to understand the words. Consider how the meaning of the lyrics fits with the music. You might also want to try putting the lyrics through Google Translate. This won’t give you a poetic translation, but it will be quite literal. This can help you to identify key words in the text. I often write the translation of a few of the most important words, and the words at key points in the music, so I can see the meaning as I practice the song. I hope these tips will help you to begin to tackle your first foreign language songs and help you have the confidence to explore the whole world of music. Do you have any favourite methods for learning foreign language songs? Leave them in the comments below. This entry was posted in Teaching, Tips for students and tagged intermediate level, languages, listening & understanding, musicianship, repertoire, tips & tricks on 20th January 2015 by . I Can’t sing! I’m Tone Deaf! Too many people say to me “I’m tone deaf”, but I’ve yet to meet someone who acutally suffers with this disability. Yes, tone deafness is a real medical condition. Tone deafness is an inability to recognise relative pitch, which is a subsection of a condition called amusia. People who suffer with amusia have some kind of neurological abnormality that affects how their brain processes sound. People who have amusia can have a range of problems including being unable to recognise differences in pitch (tone deafness), not being able to remember familiar tunes (like Happy Birthday), not being able to tell whether music is tonal (if it harmonises) or not. Because the brain is complex, this the symptoms can vary massively. Having genuine tone deafness is like having very severe dyslexia which makes it near impossible to learn to read. So why do people who can hear music normally say they are tone deaf? “Tone deaf” has become a colloquial term people use when they’ve not acquired the basic musical skill of being able to hear a note and reproduce it. An person with amusia will not be able to do this because they can’t hear the note. Most people who claim to be “tone deaf” can hear the note just find, but they either aren’t listening to it in a way that they can understand the pitch, or haven’t learnt to listen to the pitch of their own voice. When we listen to someone speaking, we aren’t always really listening. Have you ever found yourself drifting mentally when someone is speaking and then realised you haven’t heard the question they just asked you? It’s the same with learning to hear a melody. Just hearing isn’t enough. People who are “musical” both hear the melody as a sound, and they hear inside their head – they think along with the melody. Lots of people learn this skill when they are really young through singing with their parents as children, through attending worship services, or through music at school. Some people don’t, and it’s not that they can’t learn. Calling yourself “tone deaf” does nothing but convince you and others that you can’t learn musical skills. This is nonsense. Everyone who has learned to speak and listen has musical awareness – pitch and rhythm are part of language, and you use these skills every day. Even babies can tell the difference between sounds that clash (dissonant) and sounds that harmonise (consonant). If you still think you’re genuinely tone deaf, make an appointment to see your GP, and get checked. You don’t want to be missing out on opportunities if you’re not! I’m Convinced, I’m pretty sure I’m not actually Tone Deaf – Can I Learn How to Hold a Tune? Yes! The simplest way to combat a lack of musical awareness is to get making music. 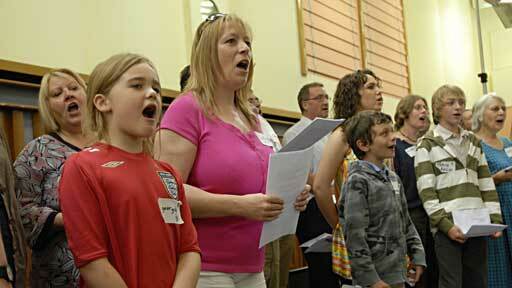 Join a choir, take up an instrument, listen to more music, sing along to the radio! If you have kids, why not join a parents and children music group. There will be loads of opportunities in your local area to make music with others, and the more music you make, the better you will get. There’s also various online games and even a MOOC on musicianship skills on Coursera, if time is pushed. Whatever you do, stop saying you can’t, because that’s the biggest barrier you face. Have you ever thought you were tone deaf? What convinced you that you were, or weren’t? This entry was posted in General, Teaching and tagged listening & understanding, music facts, musicianship, technique on 12th June 2014 by . Last week, we began journeying through the history of music with the Renaissance period. 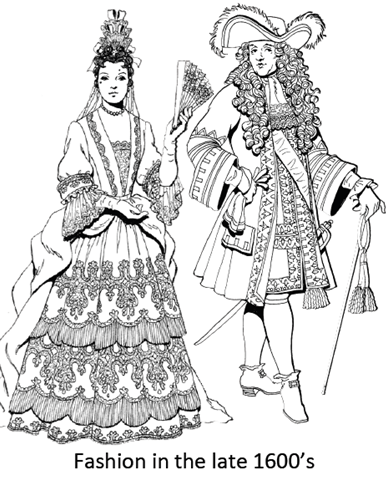 The Renaissance slowly transitioned into the Baroque (Bar-RO-ck) period around the start of the 16th Century. The name Baroque developed from a Latinate word meaning “rough or imperfect pearl” and was actually initially used to make fun of the elaborate style of music and art which became popular. Now, it is just used in a more technical sense to talk about the creative arts in the century from about 1650 to about 1750. In Britain, the Barque era saw the Wars of the Three Kingdoms (which included the English Civil War) and the union of the English and Scottish Parliaments to create the United Kingdom. This was a time when many Empires were being built, and the aristocracy were enjoying a golden age (that would soon come crashing down around their ears…). The patronage of the upper classes encouraged the growth of formal ceremonial music, but it also saw new forms develop. The leisured classes wanted entertainment, and so the genres of opera (for secular stories) and oratorio (for religious and mythological texts) developed. 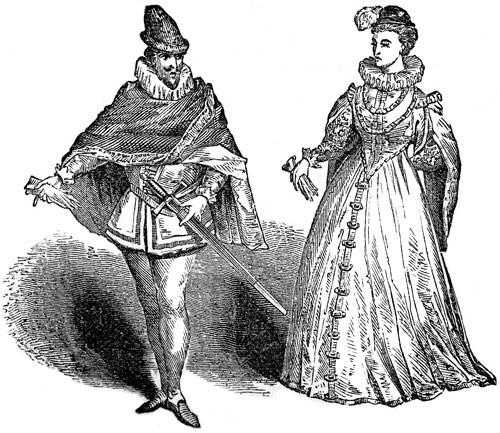 In the early days, operas looked very similar to modern musicals with dance sections, scripted elements and songs. Here’s a song from Purcell’s early opera King Arthur. 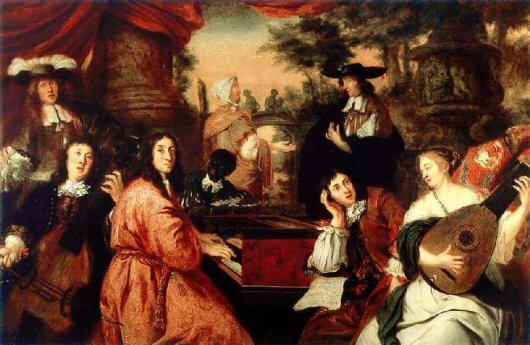 Chamber music also developed as a way for the rich to enjoy music in their own homes – in their “chambers”. Chamber music has a very small orchestra because the whole group had to fit in someone’s living room. Many of the chamber works at the time took inspiration from dance music like minuets, gavottes and sarabandes. Church music also continued to be popular and important. One of the most influential writers of church music was J S Bach. Bach wrote hundreds of choral hymns, which are now known as “chorales”, and some of them are still sung in chuches today, and others have become famous in their own right, like Jesu, Joy of Man’s Desiring. Ordinary people too, were exposed to this church music. The Reformation had changed Sundays forever, and people were now singing hymns and psalms like never before. One of the principles of the Reformation was that every man should learn scripture and choose faith for himself. Singing hymns was one way to help the average Joe in the pew memorise bible verses and scriptural truths. Outside church, broadside ballads still ruled popular music, and they would come to play an important role in motivating the general population to take sides in everything from the Reformation to the Civil War. The governments of the day also paid writers to produce warning songs about excecuted criminals. It was a little bit like setting the news stories found in The Sun to the music of Adele! This entry was posted in History of Music, Series and tagged baroque era, history of music, listening & understanding, music facts, theory exams on 7th August 2013 by . The Renaissance – a time of grandeur, of experimentation and of scientific progress. For me, the Renaissance (ruh-NAY-sonce) conjures up grand Italian and Spanish courts with explorers and architects lining up to impress the monarchs. (Well, unless you pronounce it REN-ess-ahns, in which case, it’s bad wench costumes and spit roast pig in an American field!) I don’t, generally, think of Britain, or the Kingdom of England and the Kingdom of Scotland, as having much to do with this flowering of culture. However, Henry VIII (1507-1547) was considered to be just a much a “Renaissance prince” as any other monarch. Yes, England was a little late to the party, thanks to a long running civil war (the Wars of the Roses) and a dour king who favoured an austerity policy (Henry VII). Scotland didn’t fare much better with the Stuarts getting themselves imprisoned by their own people (James III) and defeated by their old enemies (Battle of Flodden Field 1513). Yet, James V (1513-42) was a keen lutenist, and supported the growth of the arts in his country just as other European monarchs did. The term Renaissance means “rebirth”. Around this time, there was a rediscovery of lots of Greek and Roman thinking and ideas which is what gave the inspiration for the term “renaissance” (which first appeared in the 19th century – it wasn’t used at the time). Another important element at this time, which matters for our story, is that the landed elites – the rulers of the day – were developing a system called “patronage” for funding the arts. Artists no longer had to either work for the church, or sell their wares. Instead, they were given a commission by a patron to create their work. Some were even paid on a retainer as court musicians, artists, poets and even scientists. Finally, there was also a grand new modern invention – the printing press – which made it easier to distribute music on a mass scale. 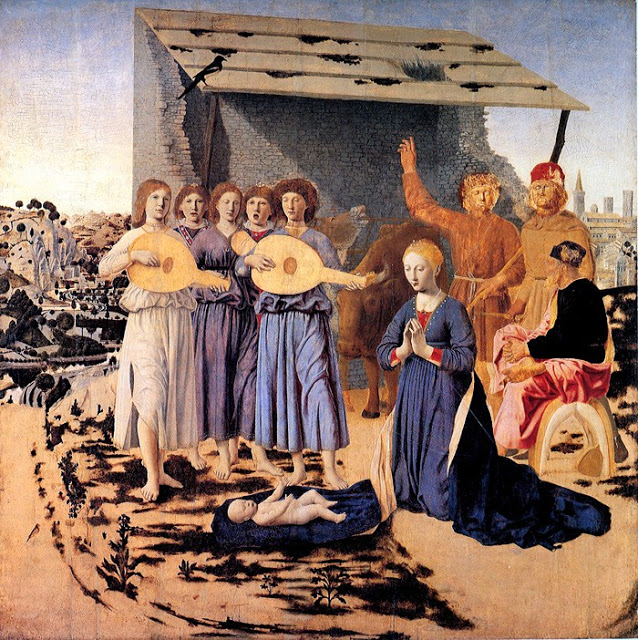 At the top of the social scale, music began to branch out beyond the church music that had dominated high art before this time. There were new ideas about composition which flowed from the rediscovered Greek and Roman thinking – music became more complex, and during this time the modern scales we use today were slowly refined. New forms of harmony also developed – polyphony (the weaving of multiple melodies) became more complex and homophony (block chords as used in hymn tunes and contemporary popular music) started to be included. Music also entered into the fledgling world of theatre. Shakespeare’s songs, for example, have no surviving music, so large numbers of composers have set the same lyrics to different tunes. You can hear some selections of settings of “It was a Lover and his Lass” from As You Like It in the playlist below. This entry was posted in History of Music, Series and tagged history of music, listening & understanding, music facts, renaissance era, theory exams on 31st July 2013 by . One of the aspects of teaching I really enjoy is when I get to use my degree (which isn’t in music) to help students understand the songs they are singing. I studied Social Anthropology and Social History, and so I love discussing historical context, composers and meaning. When preparing repertoire with students, I often make use of my Understanding Repertoire printables. These short forms give prompts to help students start thinking about the emotional content of their songs, as well as covering musical features like key and structure. These sheets also make a good additional written aspect to practice for students if they are likely to have trouble doing regular practice one week. I also use them regularly for exam song to help students start to go beyond just singing the song accurately and really start to engage with the motives of the singer. The sheet isn’t really suitable for very young singers, but from around age 9 or 10, students should be able to engage with this. 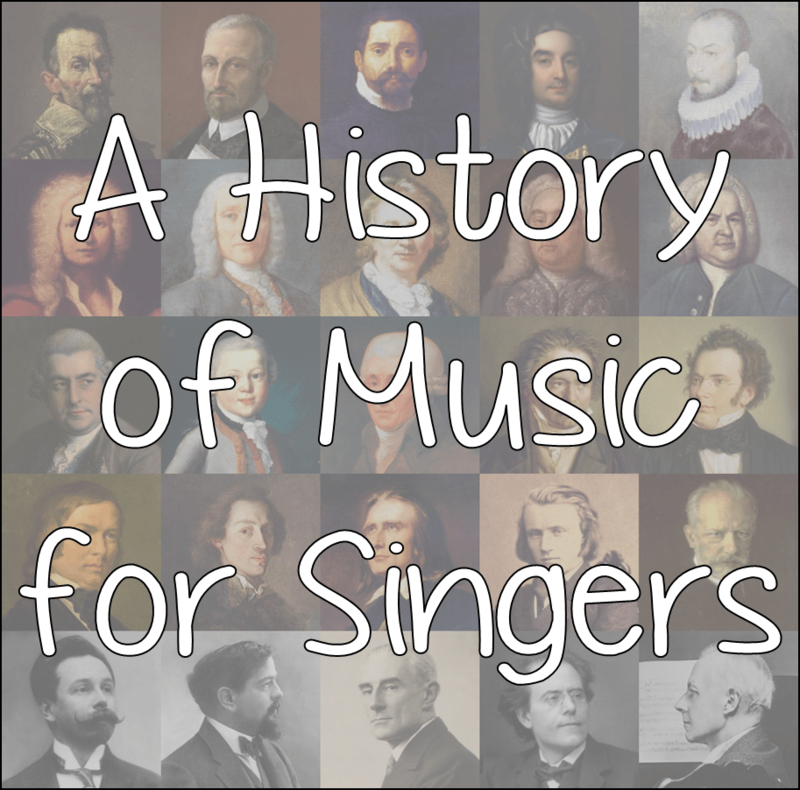 You may need to explain the terms “baroque” and “romantic” etc if you’ve not covered basic history of music with them (and stay tuned to the blog for more information on my History of Music for Singers programme in the future). Please don’t modify this sheet before you give it to students, or sell it to anyone. You are, of course, welcome to print copies for students or use it as inspiration for producing your own activities to help students get to know their repertoire. This entry was posted in Resources, Teaching and tagged free printable, intermediate level, listening & understanding, repertoire on 5th June 2013 by .